Wow, what a busy week for a short week. 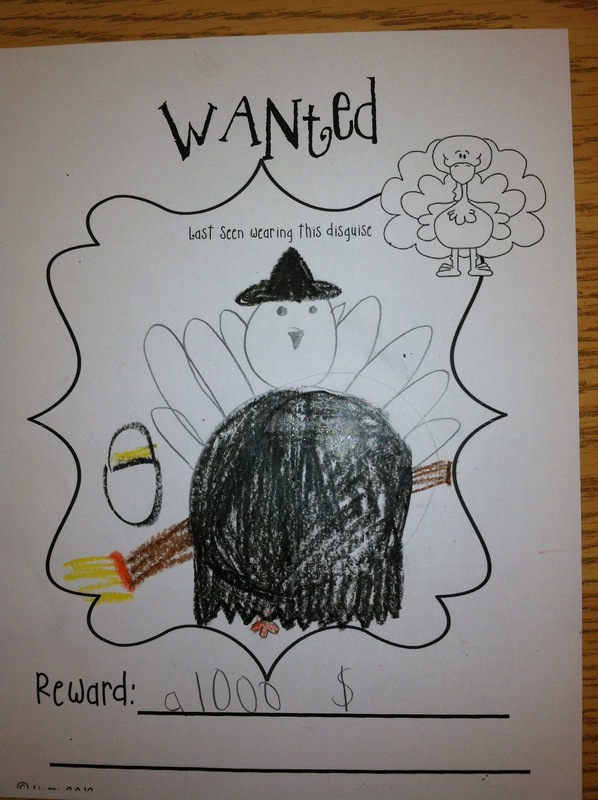 We have been working on fun Thanksgiving projects and finishing up assessments for report cards. 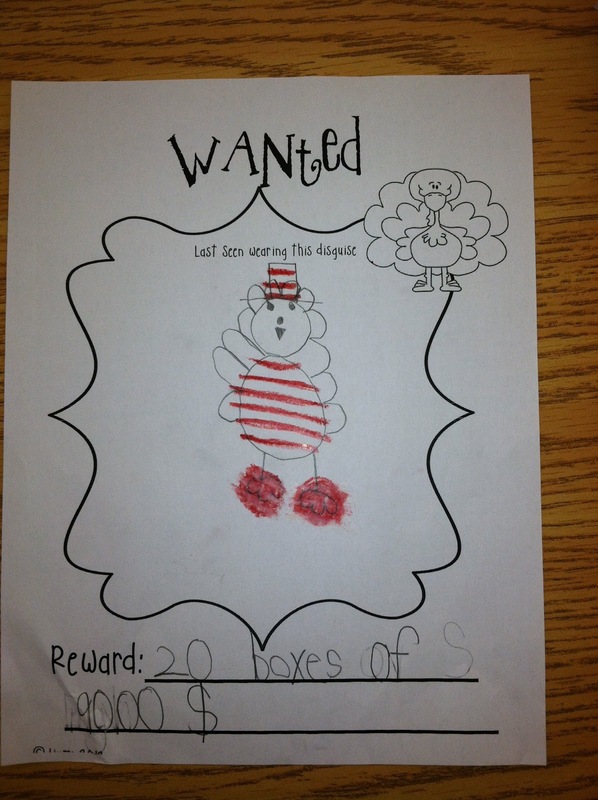 I bought the book Turkey Trouble by Wendi Silvano and Lee Harper so we could do this freebie activity by Deanna Jump. 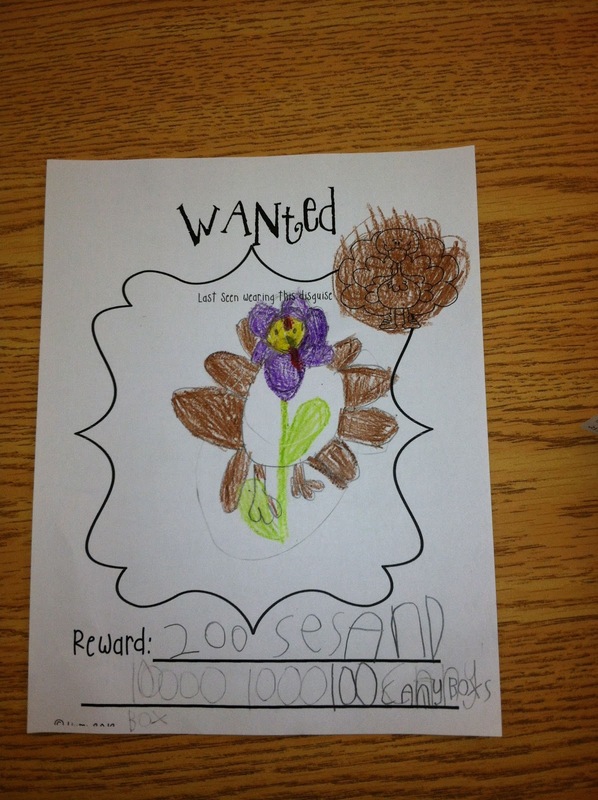 The story is adorable and my kiddos came up with some cute ideas. So cute! This will definitely be something I do each year.